Thanks to the wonderful Annie Mole from the Going Underground blog, I won a voucher to make my own book from Blurb. Blurb is a publishing company providing a print-on-demand book publishing service for the public. In other words: you can create your own books! Blurb offers a free downloadable book layout software client, BookSmart, with which you can create your own books with your own text and images. The completed book can then be uploaded to Blurb, and you can order any amount of copies. I tried Blurb about one and a half year ago to create a photo book of my family’s summer holiday. It turned out to be a great book, but at the time I had a lot of trouble with Blurb’s BookSmart software for the Mac. It was just so slow, it wasn’t nice to use at all. Those are all problems of the past though, cause now BookSmart works like a charm. Plus not only was I able to import iPhoto albums, but also Flickr sets. Unlike a lot of other photobook ‘makers’, Blurb’s BookSmart has a great selection of layouts and options. 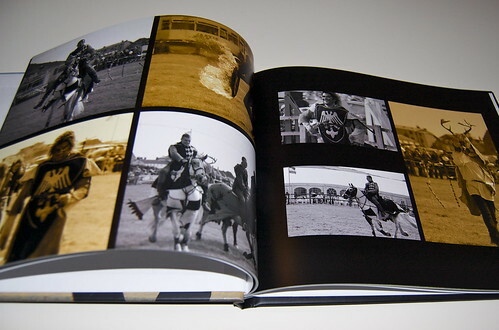 You can really play around with each page, choosing different types of layouts to suit the photos. I’m still missing certain layouts though (like one single vertical photo centered), which don’t seem to difficult to add. 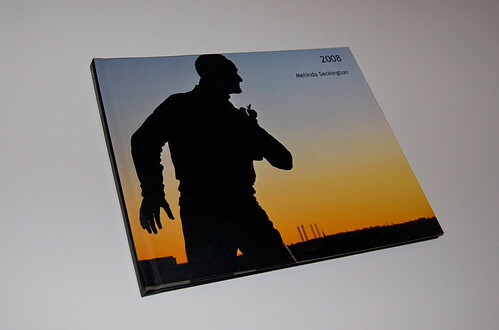 I’m really happy with the way this book turned out and I’m going to try to make one every year for all that year’s photos. I’d love to make some other type of books though, like a cook book with recipes from my Mum, or a book with all my blog posts. Those will take much more time to create though, but Blurb offers great tools to make them!